Mars Hydro compares well against other grow lights in it’s class. For example Mars Hydro won a previous head-to-head comparison against Meizhi. But can Mars Hydro beat Viparspectra? It beat Meizhi by including an infrared spectrum (IR) in it’s products. Viparspectra also includes IR in theirs, so it’ll have to win on different grounds. In this Mars Hydro vs Viparspectra Comparison, we’ll break down the features and differences, and hopefully you can make the best choice for your situation. In this comparison we’ll use one wattage level for each aspect so that our readers could get familiar with the product line of both brands. Before we start a deep comparison, we encourage our readers to take a look at this quick comparison tables for easy idea. `12.6" X 7.9" X 3"
37.2" X 12.8" X 2.4"
For ease of understanding, we’ll compare both product lines segment wise. We’ll examine all essential aspects of both Mars Hydro and Viparspectra in a concise manner. Before proceeding to features, it’s important to get familiar with brands. You should know who you’re dealing with as far as your indoor garden is concerned. Mars Hydro has been around for quite a while, and offers a full product line of grow lights, grow tents, and growing accessories. Both brands offer grow lights in various wattage outputs ranging from 200W to 1200W. Well, as far as this comparison is concerned, we’ll mainly focus on Mars Hydro 300W, 480W, 720W, 960W, Viparspectra 300W, 450W, 700W, and 900W. These lights belong to the reflector series of the respective brands. Reflector series simply implies the reflective panel the LEDs are placed on, which increases the amount of light reflected in the direction of your plants. So now, let’s move towards key aspects of comparison. Buying an LED Grow Light should be a one-time investment in your gardening job. And hence, we need to consider build and design to evaluate the durability and comfort of use for using any particular grow light. For build comparison we’ll compare Mars Hydro Reflector series 300W and Viparspectra Reflector Series 300W. Looking at Mars Hydro, it’s noticable the quality of materials is up to the mark. 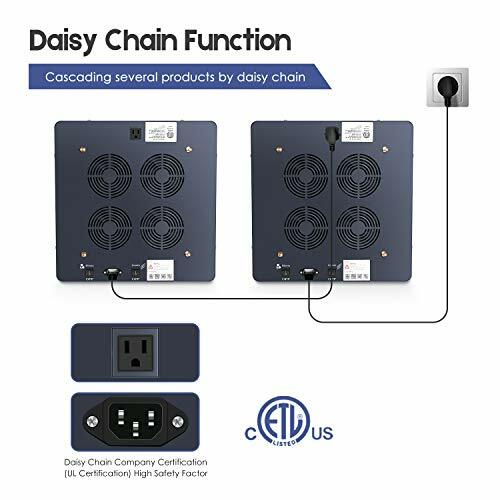 The Mars Hydro 300W features daisy chaining, which is important on smaller grow lights so you can connect them to add up to the right coverage area without having 10 plugs in the same outlet. Neither light features dual mode switches to allow only vegetation lights or only bloom lights to be on at once. It’s not totally necessary but some growers prefer it for energy savings if you’re linking multiple lights. 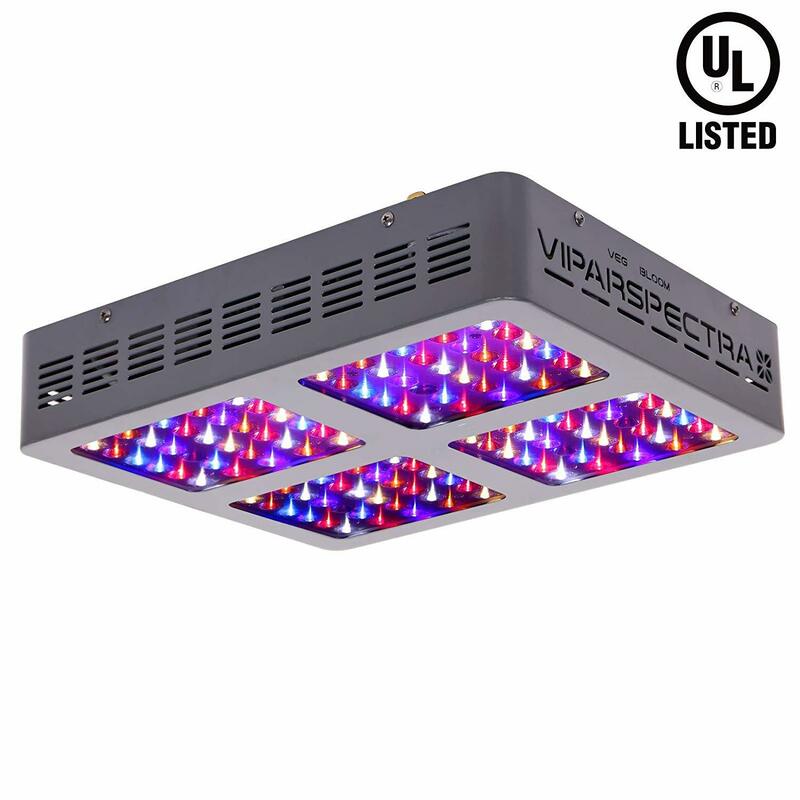 The VIPARSPECTRA V300 300W Grow Light doesn’t leave a loose end as far as build is concerned. It has an elegant design along with sturdy and premium quality materials make it a worthy investment for ones indoor grow space. 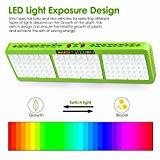 You don’t need to trust us, simply turn to the hundreds of satisfied reviewers for each light to understand how they feel about these grow lights. 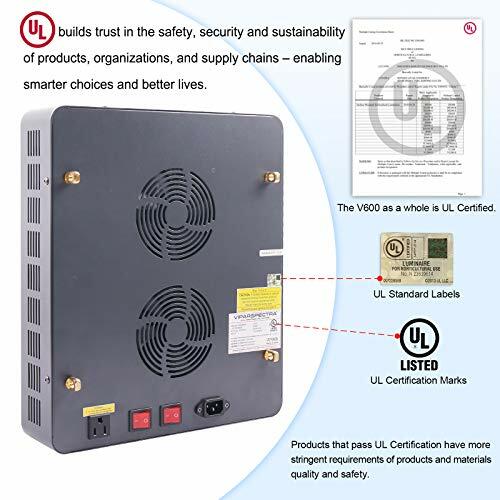 The Viparspectra 300w model also features daisy chaining on the backside of the panel. Also, things like No. of LED chips, cooling fans and dimensions vary model to model but what matters the most is quality these things possess. So far in our comparison these two lights are neck and neck. Let’s move on and see if it stays that way. Now comes an essential aspect to consider in any LED grow light. It’s regarded as one of the essential factors because it plays a vital role behind high yield and quality of plants. For the spectrum comparison we’ll take a different output level into consideration. We’ll be using the Mars Hydro 480w and Viparspectra 450w. Mars Hydro 480W variants spread a full spectrum light all over the grow space. However, it seems like Mars variant only includes 2 PCs of IR LEDs which is less than Viparspectra variant in our comparison. 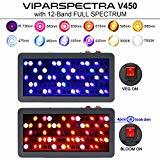 On the other hand, the Viparspectra V450 variant is capable of delivering a 12 band full spectrum light which also includes 4 LEDs for IR effect which is a plus point for sure. Also, Mars Hydro product utilizes 96 PCs of 5W Bridgelux/Epistar LEDs. 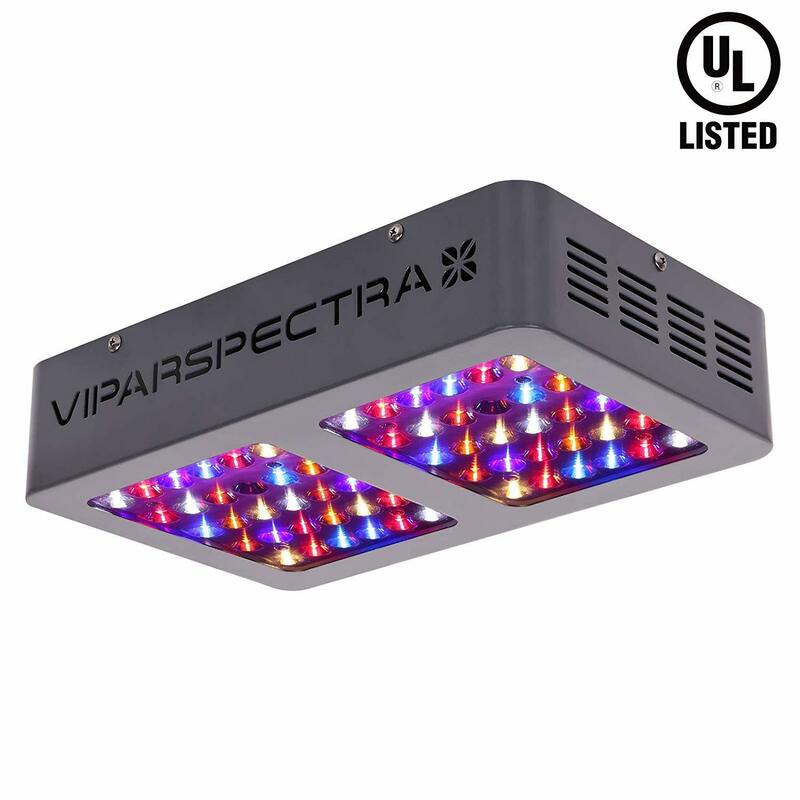 On the other hand, Viparspectra V450 is equipped with 90 PCs of 5W Epistar LEDs. With the help of these LEDs both products are spreading a quality light over plants canopies. However, with the extra IR coming from Viparspectra, assuming it’s not more IR than your plants actually need, then Viparspectra has a slight upper hand in the spectrum comparison. It’s a fact that the more intense light means increased rate of absorption which results in a boost in the process of photosynthesis. 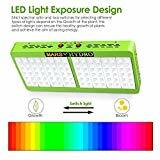 Also, intense and bright light is a significant factor for increasing your results and allowing your plants to produce resinous and dense flowers. Also, we recommend our readers opt for a top rated grow tent because grow tents use reflective mylar which boosts light effect and can increase yield massively. So, yeah, as far as intensity is concerned, we’ll consider PAR results of Viparspectra V600 and Mars Hydro Reflector 720W into our consideration for this Mars Hydro vs Viparspectra Comparison Review. If we look at the PAR results of Mars Hydro 720W from 18” height, then it’s recorded and verified to be 873 uMol while Viparspectra dimmable PAR700 stands at an impressive 1140 uMol from the height of 18”. Viparspectra has the clear upper hand here with a 30% higher PAR reading at the same actual power draw of 326 watts compared to 317 watts for Mars Hydro. Yeah, it could be due to the inclusion of IR in the Viparspectra Variant which plays a role in enhancing leaf building and cell formation. It seems Viparspectra has taken the lead at this point in our comparison. People concerned about intensity might like to read out our Reviews of Top 10 Full Spectrum COB LED Grow Lights. Now, comes one more part to consider in the checklist when you’re starting indoor growing and deciding an LED grow light for your grow space. 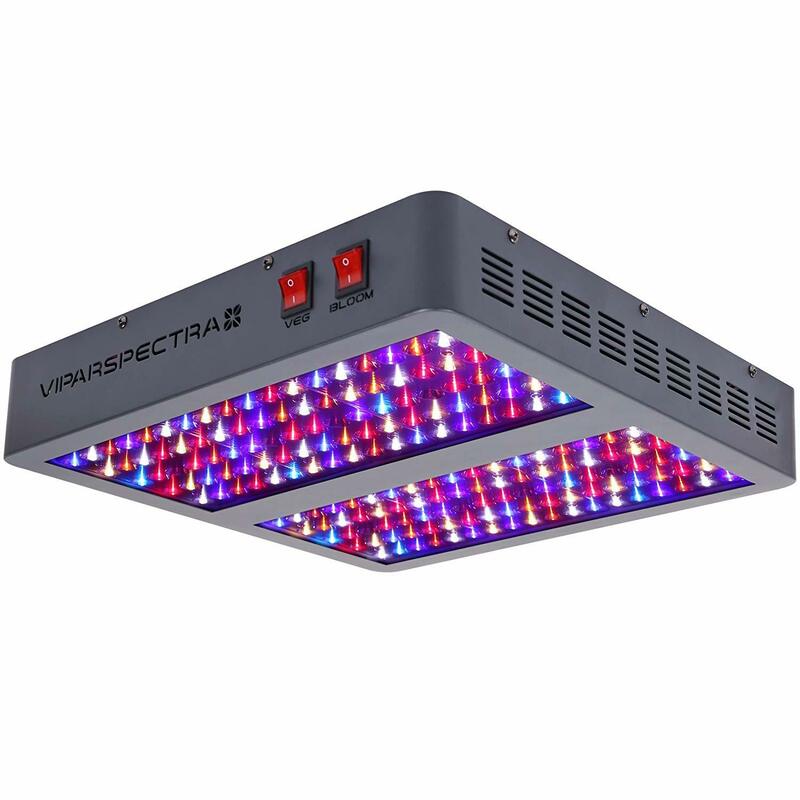 For the coverage comparison, we’ll look at the Viparspectra V900, and Mars 900W Reflector grow light. You’d think two grow light with similar output would generally have similar coverage areas, but you’d be wrong. At first glance the Mars Hydro 900w actually won out. The Mars Hydro claims coverage of an impressive 5.5′ x 5.5′ during vegetation and 3.5′ x 3.5′ during flowering. Viparspectra claims 4′ x 4′ during vegetation and 3′ x 3′ during flowering. With that said, there’s one important factor to remember – the Viparspectra had almost 30% higher PAR reading, so you can likely hang your Viparspectra a bit higher than the Mars Hydro to get an equivalent coverage. I think any grower would appreciate that option, and it highlights the importance of PAR readings and how PAR impacts other factors such as coverage. Power consumption is one of the most overlooked factors when purchasing a grow light. It’s especially important if you’re running a larger size grow space as an inefficient grow light’s power consumption will simply multiply and cost you hundreds or thousands. Spending a couple extra dollars up front may not be the obvious smart choice but for power consumption this is the way to go. So, we recommend our readers be less concerned about product price and focus on power efficiency so that product could be an ultimate money saver for you on the longer run. However, to get the precise idea we included Mars Hydro 300W & Viparspectra V300, Mars 720W & Viparspectra Reflector Series 700W in our consideration. In manufacturer tests they observed the updated Mars Hydro 300w pulls 100W from your outlet (Impressively low!) 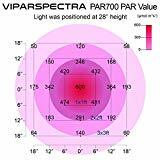 on the other hand, Viparspectra V300 pulls 130W±3% for perfect operation. Again, this may be less of a consideration for smaller grow spaces, but more for larger spaces. While the Mars Hydro 720w reflector utilizes 298W±5% and Viparspectra PAR700 pulls around 326 watts for its working. It seems that Viparspectra models consume a bit more energy, so while Viparspectra has been winning the head to head comparison so far in our opinion, make sure to take this important factor into consideration. A well-balanced atmosphere and clean grow space plays an essential role in your cannabis plant’s growth and betterment. You can compare a grow light’s cooling and heat dissipation abilities by reading user reviews as the most important input to your decision. The manufacturers will always tell you the technology they included for cooling, and that can be considered second. Consider heat dissipation before deciding on one of the best LED grow lights for your plants. Also check whether the specific light is good at keeping things well balanced or not. As far as Mars Hydro and Viparspectra is concerned, both lights are built using high-quality materials as we already stated in our build section. Take a look how Mars Hydro 900W Handles cooling with noise reduction technology and 4 fans. 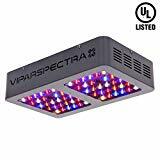 The Viparspectra PAR700 Grow Light Handles cooling using 3 x 3.2″ front fans along with high quality aluminium heat sink. Now, for cooling both brands have included an appropriate number of cooling fans in their products. Also, for heat dissipation scientifically designed heat sinks are correctly placed on the products. So, yeah we could say that both brands have taken proper care of cooling and temperature balancing. If you aren’t convinced yet there are two final big factors to consider before purchasing your grow light. That’s warranty and cost. 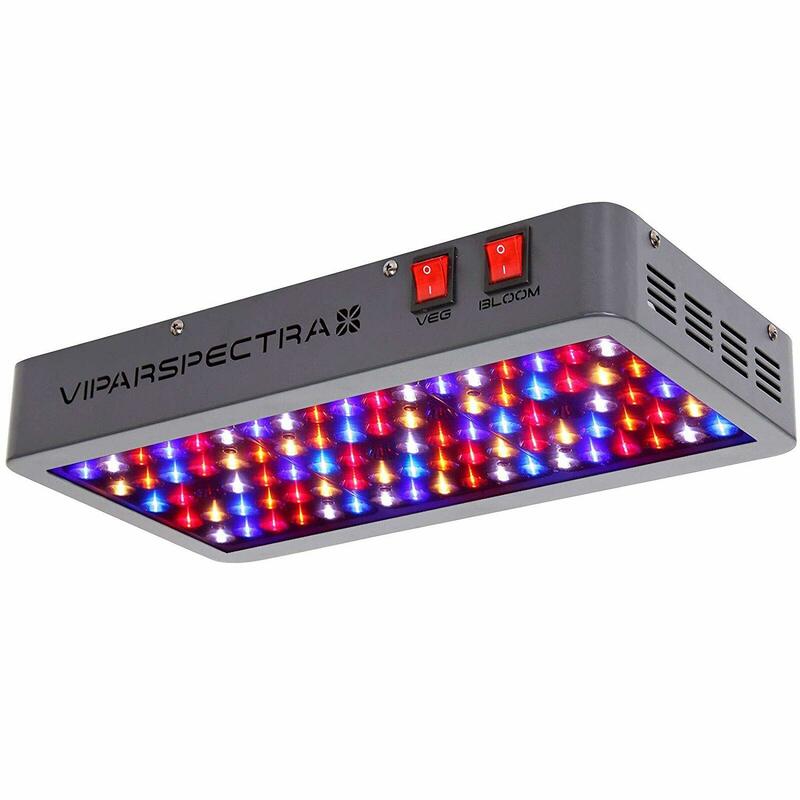 Viparspectra offers a generous 3 year warranty for the whole grow light product line. Mars Hydro also offers a generous 3 year warranty for all of their grow lights. From an affordability point of view, Viparspectra is a slight winner up-front, but remember the power usage can be a bit higher on these models. The lower end 300w models have a 30w power draw difference (Mars Hydro being more efficient), which will easily add up if you’re daisy chaining. With all of that said we think both of these lights offer significant value. The two models are more or less neck and neck except for power draw on certain models. Still confused? Then give us a chance to help you out from your confusion. As we’ve already presented all the information in the tabular form, we must guide you to use the same productively. What we recommend is decide your coverage area first. And, then figure out which variants of both the brands are suitable for that specific area. Now, all you have to do is think of the factors that matter most in an LED grow light like dimensions, wattage, spectrum, inclusion or IR and UV in the light, intensity, etc. 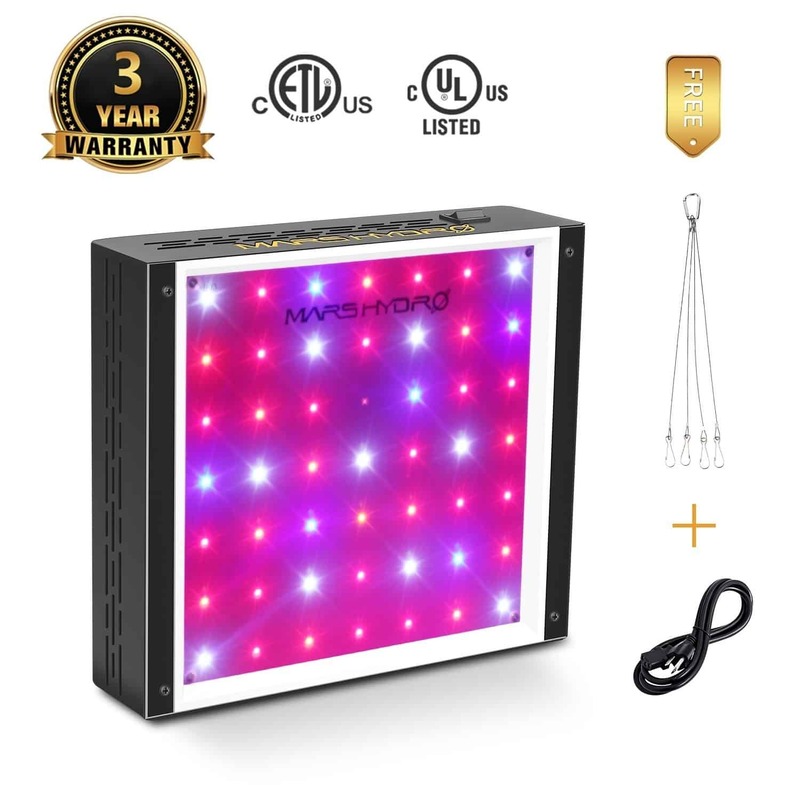 In our survey, what we got is the majority of our readers aimed to find a perfect LED for their 3.5’ X 3.5’ grow tent and based on our expert round up best suitable light for such size of the area is Viparspectra Reflector series V600. We hope you like our comparison between Mars Hydro vs Viparspectra. Also, share which one you purchased and how’s it doing in your grow space in our comment section.